I wish when I had purchased this book that there was reviews for it but there was not so I took chance, In a way I am glad I did because this was a horrific story just some innocent boy scouts going on a camping trip that turns into a total nightmare.The island they camp on is highly infected and they all have to fight for survival, the down side is the graphic detail of animal cruelty is more disturbing than anything if like myself you are a animal lover think twice about this book! Putting that aside though its a fantastic story. This was a great horror story which reminded me of The Lord Of The Flies mixed with a dash of Dreamcatcher. I wouldn't recommend this book to anyone who can't handle animal cruelty (there is a fair amount of it) but this was by no means a bad book. It's highly disturbing but well written and hard to put down. I liked that there was no main character in the book and that every character got their own time in the narration spotlight. It was interesting to know what each person was feeling and thinking and it also meant there was no way to know who would live or die. At some points, the author delves into the mind-workings of a sociopathic character which I found to be just as disturbing as the main events of the story. I wasn't too fond of the interviews, logs, and police documents that were interspersed between chapters though. I get that they were supposed to give the listener a better understanding about how the circumstances on the island came to be (and some of them were good) but many were just outright tedious and took away from the main story at times. 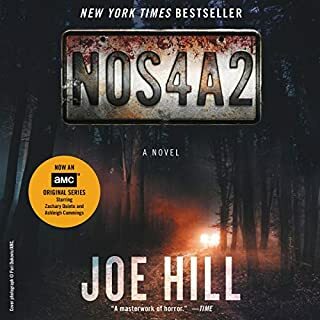 At first I wasn't too keen on Corey Brill's semi-monotone narration, but it soon added to the creepy feel of the story and his portrayal of certain characters was chilling. A bit disturbing, but hard to stop listening. Not sure I would want to say this was a book I "enjoyed"... It was certainly a very good story that kept me listening. BUT There is lot of pretty graphic description in there, which I don't usually mind and would not usually comment on as such. Occasionally seemed a little bit unnecessary. Without spoilers, at one point a sea animal has to be killed for food, the long slow brutal death is described in a lot of detail, it is not easy listening. I very nearly stopped listening at that point finding it a bit too drawn out and unpleasant for comfort. That said it is a credit to the writer and the narrator that this is the first time I have ever felt like stopping listening to a book as the description of a death was making me feel uncomfortable as it was so realistic. Not sure I would like to spend long inside the writers mind to be honest though, think it might be a dark place! Usually I just zip past the deaths in a story without a second thought. Its a good story, a very good story, but also disturbing - a bit like lord of the flies, with a very gruesome infectious disease and a fledgling serial killer thrown in just for good measure - maybe a bit of "the wasp factory" in there as well. If they ever make a movie of this, I expect it will be seriously edited by the censors. 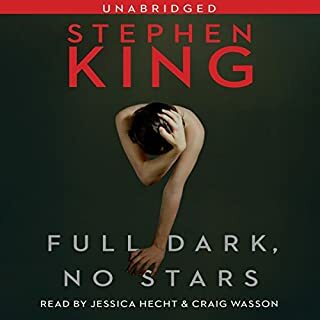 You need a bit of a strong stomach for this one ;) I find this really hard to give 5 stars to as its was sometimes disturbing listening - but then feel I have to give it 5 stars as it really did make me react in a way not many books have done... OK 5 stars then - but with the note that I didn't like it!? I rarely write reviews because a great many books on audible are only passable. This book however, I simply cannot recommend highly enough. 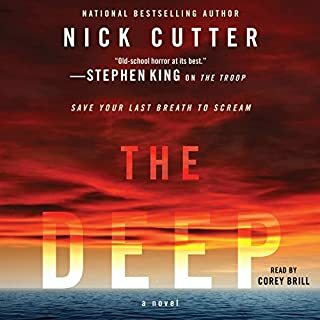 It’s deliciously horrific, perfectly narrated and absolutely gripping-I stayed up all night, unable to stop listening. If you’re a fan of horror, you certainly won’t regret giving this book a try. Great creature feature!! This book is unnerving and page- listening. Worth a peak if you like contagious disease movies and coming of age dramas. Like the kids from IT with worms!!! got into the story very well. I read somewhere that this book is a bit like the better known Lord of the flies by william Golding. Well, sort of I suppose if you stretch a point but not realy all that similar except for the island the isolation and the boys but otherwise no way. actually it’s not that good. Pockmarked with the usual lack of real creation in terms of writing it’s scary enough but there are holes in it. For instance Max seems pretty agile for a boy that’s just been stabbed in the abdomen. the characters are well defined though and not at all nice. the book needs improvement though. 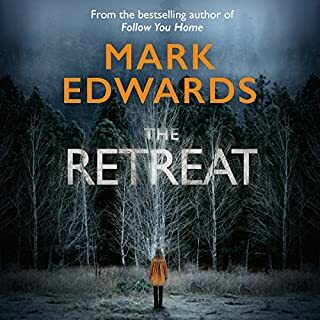 I’d say if you’re not too particular about the kind of horror you read but just want a thrill it could be worse but it you want a horror that both frightens and is plausible all the way through then forget this one. Far more heart in this story than I expected. Not just shock and gory. Like Stand By Me but with more gore. Loved this book, looking at how people try to survive something they don't understand. Yes, it is very gory, but the author does a great job in putting us in the mindset of the kids. Be it struggling to survive or killing insects for the fun of it. As I said, it is a great horror book with great writing that really puts you into the moment. If you like horror books and have a strong stomach, I cannot recommend this enough! Be warned: Don't listen to this while you're eating. Nick Cutter presents us with a modern-day Lord of the Flies. With a balls-to-the-wall circus of gore and viscera flung at you until the very end. And while it definitely fits well into the its label of horror, it doesn't transcend it; unlike the more heavy hitters in the genre. But Cutter certainly does know horror well. His descriptions of gore and even retelling of simple memories, are twisted into something macabre; inciting squeamish disgust in listeners. At times, Cutter uses too heavy a hand with the memories. The plot scarcely moves forward before one of the boys remember something gross in their childhood and it becomes almost rhythmic, and listeners fall into a pattern. The characters themselves are flawed, though quite one dimensional. The boys all fulfill a stereotype except for Max, whom is so vaguely constructed that he would be utterly forgettable, if Cutter didn't have big plans for him in the plot. But perhaps this reception of the boys is due to the narration, which is monotone at best. And downright lazy at worst. Corey Brill reads the novel like he's never read it before. Every time he reaches the end of a chapter, usually a time for narrators to construct some sort of distinct tone, he make it an anticlimax. So much so that listeners can almost believe he is mid sentence, before the next chapter starts. So it's no surprise then that his dialogue lands flat. And while his monotone is a compliment to the gore in the novel, it feels more like a scientist droning about his research, than an actual horror novel. 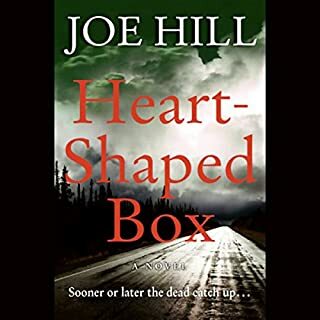 this book is a must listen if you love horror. there were actually times when i had to pause it to collect myself because of how sickening the scenes were. although the story as a whole was shocking, what kept me feeling sick were the moments of intense animal violence and the constant reminder that the four characters were only 14 years old while going through this horrific event. the author has a wonderful ability to use unique and poetic descriptions that really allowed me to visualize every scene. the depictions of Ephraim's anger and Shelley's psychopathic personality were also so well written and accurate. A truly enjoyable and memorable read! This one is not for the faint heart for sure as said by Mr King. But it was so very interesting and I loved the characters. Great concept, read at your own risk. 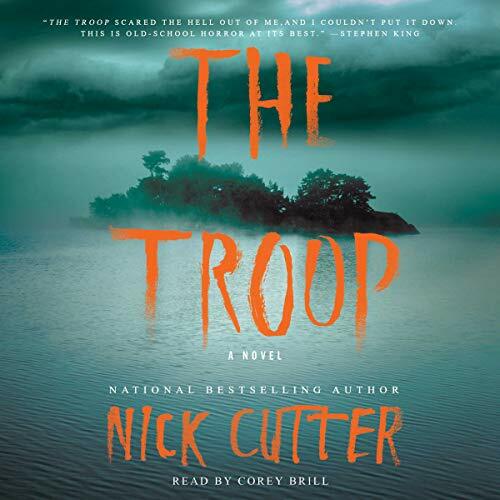 Once every year, Scoutmaster Tim Riggs leads a troop of boys into the Canadian wilderness for a weekend camping trip - a tradition as comforting and reliable as a good ghost story around a roaring bonfire. A good scary story that will keep you wanting more and great narration. Not recommended for the squeamish. There hasn't been many moments as a bookophile that i have broken out in goosebumps but i certainly did during 'The Troop'. 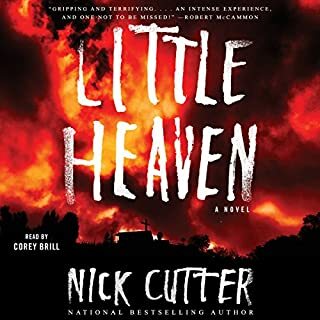 If Chuck Palahniuk wrote Lord of the Flies after watching 'Cabin Fever' you might come close to what Nick Cutter achieved here. Outstanding.